If you have been injured due to criminal activity there may be another party who can be held liable for your injuries. Negligent security is a form of premise liability that helps victims of crimes seek compensation from property owners whose actions (or inactions) led to the criminal activity. Property owners must provide a reasonable duty of care such as protecting visitors from crimes by third parties. Negligent security cases are only viable if it can be shown that foreseeable criminal activity could have been prevented by appropriate security measures. It might be more common sense to file a civil lawsuit against the perpetrator of the crime, however, if the criminal isn’t caught or doesn’t have assets, damages will be minimal if any at all. By filing a premise liability lawsuit against the property owner, they are more likely to have an insurance policy that covers liability. Therefore, you are really suing his insurance company. In order to be able to file, it must be shown that you suffered actual damages such as medical expenses, loss of income, lost future earning potential and pain and suffering. Another thing that needs to be proven is whether or not the crime was foreseeable. If crime is prevalent in the location and nothing has been done to rectify the situation then the crime could have been foreseeable. However, if this was the first time a crime was committed on the property, it will be hard to show that the crime was foreseeable. Adequate security also varies from case to case but includes things such as security patrols, lighting, locks and restricted number of keys. Certain states have safety measures that businesses must comply with to avoid being held liable in a crime. These include security cameras, safety cash drop boxes as well as having cash registers with a limit to how much money is in it. If the business fails to meet these standards than it can be held liable. Boating accidents are a lot different than car accidents, even if they might seem similar to the layman. Imagine one common scenario: There are two boats, one of which has left a huge wake behind her. The second boat is going too fast at an angle perpendicular to the path of the first boat, and the driver is ejected when he hits the wake. There are no speed limits in these particular waters. It’s not an easy question to answer, in part because there is no firm set of rules to govern who might win or lose. It’s possible the court may decide that both parties are negligent or that neither were. One thing’s for certain: if you’re a boat owner, you’d better have boat insurance or a good personal injury lawyer with a good knowledge of maritime law. The primary difference between boating accidents and car accidents is how easily proof is obtained. It is extremely difficult to prove negligence after a boating accident. Part of the reason is because there are fewer potential witnesses to these types of accidents, which means it’s often a case of “he said, she said.” The difference in regulations and laws is one more reason. If you were involved in a boating accident as a passenger, then you can potentially bring a claim against either the driver of the boat in which you were riding, or another party responsible for your injuries. This other party might be a boat manufacturer or seller who sold the owner a faulty machine, or it might be another driver on the same waters where you got into the accident. It depends on the situation. Another complication is the age of many laws that regulate some maritime accidents. Although accidents are common, they’re still less common than car accidents, and so regulations aren’t always updated. Old laws aren’t always stripped from the books. Some of these work in the favor of the boat owner, allowing him or her to avoid paying out accident claims when it would otherwise become necessary. In order for such cases to move forward, negligence must still be proved. 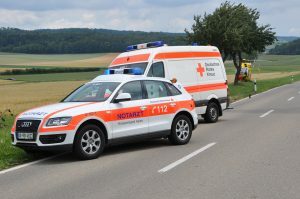 If you were in an accident and someone was injured or killed, you must require the appropriate paperwork or risk prosecution under federal and state laws. Getting into a car with a driver who you don’t know might be a source of apprehension for many people, but for others it’s a walk in the park. Either way, sometimes the worst happens and things just go wrong. Whether or not your Uber driver is at fault, what happens when he gets into an automobile accident? Does the company have insurance? Will you be taken care of? Here are a few things you should do immediately if your Uber driver has an accident. 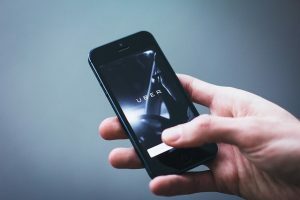 One of the largest rumors circulated about Uber as a company is that it does not maintain insurance for its drivers, and therefore the burden of coverage would land on the passenger in the case of an accident. This is a myth. It only exists because of the constant battling between the traditional taxi industry and rideshare companies. Uber maintains insurance for its drivers, and mandates that the drivers themselves have another layer of insurance on top of their own personal insurance. If an accident occurs, you can make a claim to part of this coverage for either personal injury or property damage. When your Uber driver gets into an accident, be sure to take this information down. Report the accident to the police, to Uber, and to a personal injury law firm in order to ensure that all your bases are fully covered. You can report these incidents to Uber directly through the app itself. If there were other drivers involved, be sure to get their insurance information as well. This might seem redundant since the Uber driver should already have done this, but always assume that the other parties involved won’t do what they should do. Seek immediate medical attention for any injuries incurred during the accident–or any that develop as a result–and document information like bills, psychological trauma, etc. If you’re unable to work because of your injuries, then keep track of lost hours. You’ll also be able to acquire compensation for any permanent loss of productivity, so be sure to document in copious detail! Don’t end up like the people in this video. Contact us today if you’ve been in an Uber accident! Who Can Be Held Liable If I Get Injured At An Amusement Park? The very nature of an amusement park, the rides, and the activities mean that there is an inherent risk of injury. Just like any property or business owner, the owner of an amusement park may be held liable under certain circumstances. 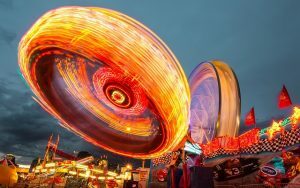 This means that if you do get injured at an amusement park, you may have a personal injury claim against the owners, according to Lenzo & Reis, New Jersey Employment Attorneys. The owner is responsible for the upkeep and maintenance of the amusement park and to ensure that the equipment and other facilities are in good repair and fully operational. If the injury was due to neglect of maintaining the grounds, equipment or other facilities on the property, the owner may be held liable for any expenses. There are certain safety standards and measures that must be put in place at an amusement park in order to ensure the safety and security of visitors to the grounds as well as while using the facilities and equipment. If these safety standards have not been met or the required measures have not been put in place, the owner may once again be held liable for an injury that has occurred as a result. An amusement park owner has the additional responsibility to ensure that the rides on the premises are in good repair and safe. This includes ensuring that safety instructions are provided and that employees are sufficiently trained to operate the ride. Restraints and other safety measures that apply to a specific ride must also be well maintained and in good operation. If it is found that any of these provisions have not been met the amusement park can be held liable for a personal injury claim that resulted. It is not just the rides and other facilities that pose a risk of injury at an amusement park and regular injuries that could occur on any property are also likely. For example, slip and fall injuries are quite common. It is, however, necessary to prove that the owner, management or employees may be responsible for the injury in some way. This is normally due to their direct action, indirect action or total inaction. For example, if a drink is spilled and an employee neglects to clean it up as soon as possible, the amusement park may be held liable for a slip and fall injury that has occurred as a result. Contrary to popular belief, these type of injuries are much more common than those that occur due to use of the rides and other riskier activities available. It can be difficult and complicated to prove liability in the case of an injury at an amusement park as there are so many different factors that need to be taken into account. It is highly recommended to hire a lawyer who specializes in personal injury claims that are related to amusement parks to help assess your case. An expert attorney has the knowledge and skill to investigate your case to ensure that you receive the compensation you deserve. What Is The Difference Between Civil and Criminal Litigation? We have heard the aforementioned question from our clients many times before. Currently, the United States legal system has to divisions: criminal and civil. Litigation is a term that simply refers to bringing someone to court in order to resolve a dispute. The first major difference between a civil court case and a criminal court case is who is the plaintiff (the wronged party). In a civil case, the wronged party (whether it be an individual or a business) is the plaintiff. In a criminal case, the plaintiff is the State (where the alleged misconduct took place) which is usually represented by a lawyer (sometimes referred to as prosecutor or district attorney). The second major difference between a civil court case and a criminal court case is the level of standard of proof. In civil cases, plaintiffs need to convince the judge or jury of something called “preponderance of evidence” which is a fancy way of saying they need to show that their evidence is more convincing than the evidence of the defendant. It does not mean that the plaintiff has more evidence, just that the plaintiff has more accurate evidence. According to Cornell University Law School, that “preponderance of evidence” means that at least “50 percent of the evidence points to something.” However, this is very different than criminal cases where the State needs to prove “beyond a reasonable doubt” that the defendant committed a crime. The jury must also come to a unanimous decision. Confusing? Here’s an example: OJ Simpson was found NOT GUILTY during his criminal case because the prosecutor could not convince a jury that he committed a crime without any reasonable doubt. However, Nicole Brown Simpon’s family sued OJ for wrongful death and accused him of being liable for her death. Because the family only had to show “preponderance of evidence” OJ was found GUILTY in his civil case. Which brings us to the third major difference between a civil case and a criminal case: punishments. In a civil case, the defendant, if found guilty, is usually ordered to pay some sort of compensation to the plaintiff. In a criminal case, the defendant, if found guilty, could serve jail time, probation, or pay a fine. Do you suspect that your identity has been stolen? Well, you need to take steps to prevent the theft because it might cost you a lot of money or prison time if not handled correctly. Here’s what you need to do if you find that your identity has been stolen. • Notify The Bank And Creditors: If your bank account or credit card has been affected, you need to close them immediately. Contact the bank or credit card company and notify them immediately. • Place A Fraud Alert On Your Credit Card Report: You should contact the credit reporting agencies and request for a fraud alert which will be placed on your credit files. It lasts 90 days after which you can extend after filing a police report on the matter or the FTC complaint form. • Assess Your Credit Reports: Once the fraud alert is issued, you will be removed from preapproved credit cards or insurance policies. Check your credit card reports thoroughly to identify any signs of fraud. For instance, are there new accounts that you didn’t open? Are there payments that you can’t account for? Is there any personal information that seems strange to you? Report anything that seems unfamiliar to allow the proper agencies to track the crime. • Credit Freeze: You should consider locking down all your credit card information. That way, the reporting agencies will not release your information to any creditors. If you can prove that you’re a victim, a credit freeze will be free. • Contact the FTC (Federal Trade Commission): Federal investigators look through the larger and sophisticated cases. However, they always check through the minor cases to discover any patterns that might break identity theft crime rings. If you’re a victim of identity theft, fill out the form available on the FTC website. You can provide the form to your credit companies for further investigation. • Police Report: Also, you need to alert the police in your city about your identity theft case. It’s important to get a police report of the case. Together with the FTC for, you can pursue the case with the financial institutions and make a valid claim. In the police report, you should list down all the accounts with fraud and provide as much evidence as possible. You can also present the police with the FTC form for further investigation. Finally, you should change all the passwords to your financial accounts but don’t use obvious passwords that can be easily cracked. When you think of personal injury ads, you think of cheesy late night commercials. Cellino and Barnes, probably two of the most famous lawyers in the country thanks to their late-night television ads and beyond catch jingle, would come on screen and talk about mesothelioma or vaginal mesh medical errors. But the world of television itself is diminishing as more and more people are watching their shows through their favorite online streaming service via their mobile device. And our beloved Cellino and Barnes broke up. However, the ingenuity of personal injury lawyers never ceases to amaze us. Leave it to personal injury lawyers to find a new way to reach their core audience. Thanks to modern technology coupled Google’s search and display network, personal injury lawyers are now capable of targetting ads directly onto users mobile devices as specific locations such as Hospitals, Emergency Rooms, and Urgent Cares, all thanks to Google’s ability to target specific longitude and latitude coordinates also known as geofencing. Personal injury attorneys already have the bad reputation as ambulance chasers but no longer do they need to chase the ambulance. Here, their ads can appear directly to where the ambulances go – no chasing involved. As unethical as this sounds, state bars have not banned this from happening and nor is this ad placement illegal. Due to location enabled on mobile devices, accessing this data doesn’t violate HIPAA. It’s not uncommon for platforms to use location data to serve ads. A prime example is SnapChat and location filters. But the jury is out on whether or not this strategy is effective in obtaining new clients. Hospitals have more than just people injured by negligence within their walls. Many of the ads will be served to nurses, doctors, and staff costing the lawyers tons of money with very little return. While an interesting idea, it’s just a theory that seems way too unethical for it be used.